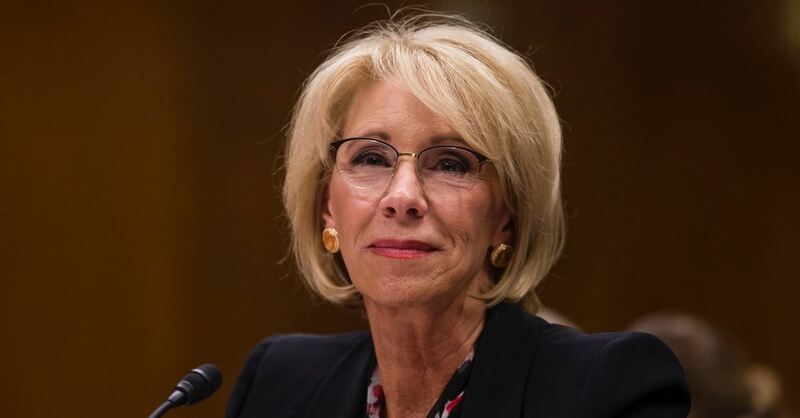 Education Secretary Betsy DeVos was under fire last week after members of a congressional subcommittee questioned the proposed elimination of funding for the Special Olympics. According to USA Today, DeVos shared that the budget will cut $17.6 million from the Special Olympics – the world’s largest sports organization for children and adults with disabilities. The $17.6 million is only a small portion of the proposed $7 billion or 10 percent cut to educational programs in the budget for the 2020 fiscal year. When asked before a congressional subcommittee on Thursday if she personally had a hand in cutting the Special Olympics budget, DeVos revealed that she did not. The Education Secretary even went as far as to note that she has donated portions of her salary to the organization. According to Fox News, DeVos noted that the budget required some “difficult decision” making, but she hopes that the Special Olympics can continue to be supported by private philanthropists. Fox News points out that of the Special Olympics total budget, federal funding makes up the smallest portion. In 2016 the Special Olympics received $44 million in direct mail contributions, $38 million in individual and corporate contributions and $11.4 million in federal grants. While @BetsyDeVosED is cutting the Education Department 12% across the board – including eliminating funding for the Special Olympics – she’s increased the executive pay line in her department by over 15%. He continued, “I have overridden my people. We're funding the Special Olympics."